When you check out the signs we did for Coast to Coast Computers, Golden Storage and Pittsburgh Paints you will see some excellent examples of what illuminate light box signs can do for a business. These signs present a powerful and dynamic three dimensional message any time of the day or night. Why is this kind of sign so effective? Let’s take a closer look and see. What is a Box Sign? Imagine a simple flat sign with a business name. Now add depth and dimension by making the entire sign much thicker. This is the basic concept behind a box sign. A box is a great way to add dimension and substance to a sign, but no one is going to see it at night. This problem is easily solved with the right kind of lighting. In fact, when we add light to our box signs they come alive with colors and substance, and you can easily see the message on both the front and back of custom illuminated light box signs. Why Use Lit Box Signs for Your Business? Save energy – lighting a business can be a major expense. Low maintenance – LED lights can last for many years and many thousands of hours of operation. No fading or flickering – properly installed LED lighting will burn bright and even for as long as you own them. 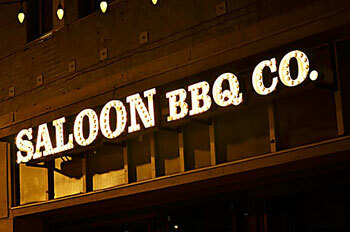 Brilliant light – LED makes lit signs come alive at night and they can be seen from a long ways off in vibrant color. In fact, you can even see this kind of lighting in the daytime. 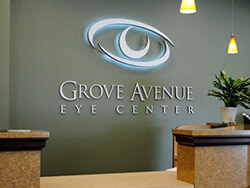 Versatility – you can use illuminated light box signs in a number of places. For example, it can be the main sign for your business or a smaller sign above doorways. You can choose standard box signs with traditional letters and standard light bulbs inside. In fact, this will be much cheaper than ordering a custom sign from trusted sign professionals. However, if you invest in cheap signs your customers may see your business as cheap or maybe even “second class” and this is not the way to brand a business in the 21st Century. Whether you run one location or a thousand, it doesn’t cost much more to go first class and Dave’s Signs is there to help. Are you in need of a light box sign? Call us at (805) 641-1387 with your sign questions or click here to request a free quote.